Calling all boys! 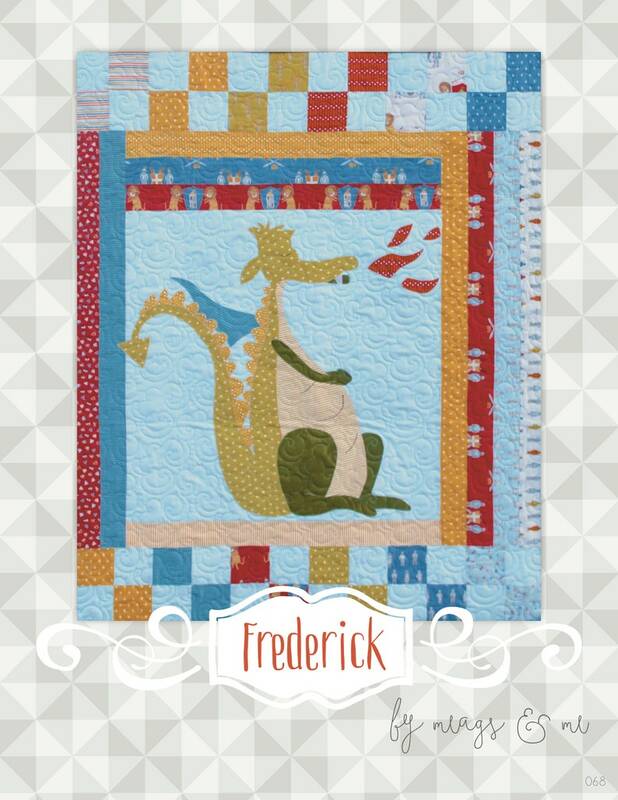 This dragon quilt is perfect for your knights in shining armor! 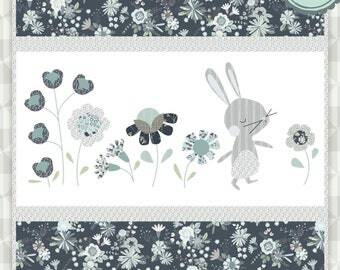 Makes a great baby blanket, or wall hanging in the nursery. Finished size is 36" x 40"
This pattern is a PDF file- and downloads immediately! Print straight from your home computer! No shipping charges! The PDF pattern is 17 pages- 7 large 11" x 17" pages for appliqué, and 10 regular 8.5" x 11" pages of instructions. Contact us for a hard copy to be mailed to you. 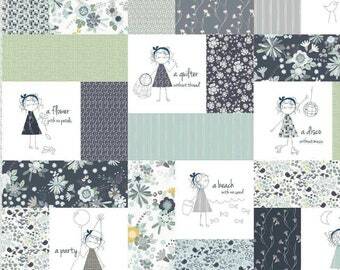 Instant Download- Frolic Quilt Pattern. Embroidery. Bunny. 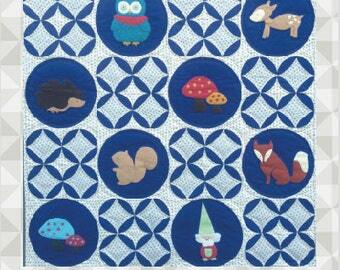 Panel Quilt. Easy Applique. 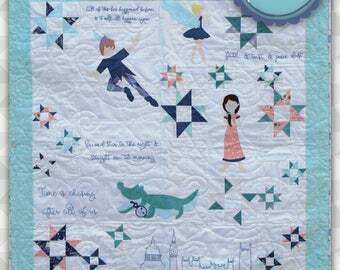 Children's Quilt Pattern. Nursery. Appliqué. 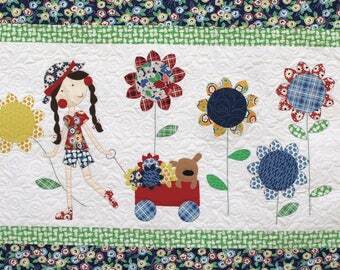 Instant Download: DoodleBug- an applique and pieced quilt pattern. Pinwheel quilt. Ladybug quilt pattern. 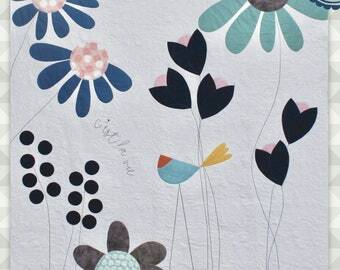 Baby girl quilt tutorial. 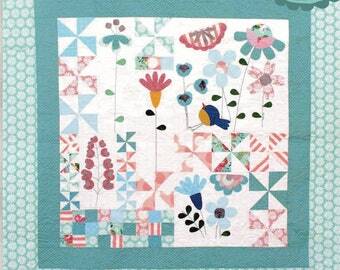 Instant Download: For the Birds- an appliqué and pinwheel quilt pattern. Appliqué tutorial. Easy pinwheel quilt. 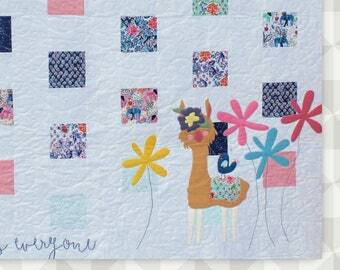 Instant Download: Llama Llove- square piecing and appliqué quilt pattern. Llama applique. Llama quilt. 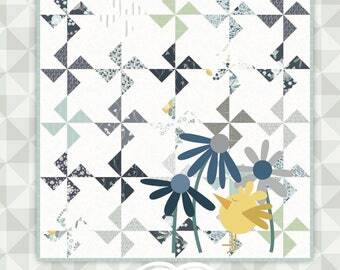 Beginning Piecing. Large Applique. 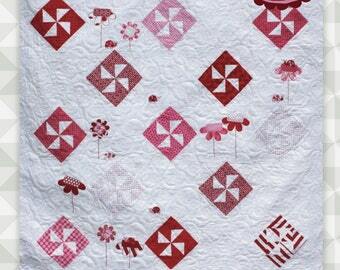 Instant Download: Madeline- A redwork quilt. Floral. Red embroidery. Lap Quilt. Stitchery. Hand Embroidery. great idea and so bright and cute. We accept paypal. On rare occasions, exceptions can be made. Please contact us directly for more information. Payment is required at time of purchase. If that is not possible, please notify us so payment arrangements can be made. Unless notified, orders will be canceled after three days of non-payment. All patterns are final sale. However, if there is any problem with your order, please contact us directly, we would be happy to help you. 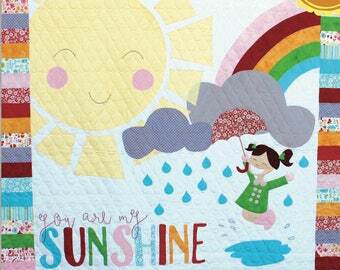 Instant Download: Oh, Henry!- an appliqué and pinwheel quilt pattern. Appliqué tutorial. Easy pinwheel quilt. 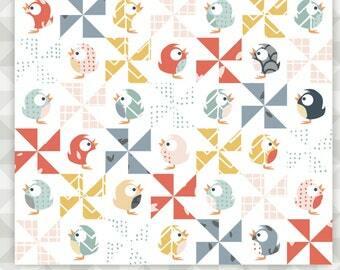 Bird Quilt. Spring Quilt.